This cog-shaped faceted mirror makes awe-inspiring decorative modern wall art. Or on a less industrial note, the mirror could be viewed as a sunflower with its circular array of bevelled mirror wedges representing petals, and the flat mirror within being the flower face. However you view it, the stepped wedges create a zipper like design that reflects light in multiple directions. The two interlocking rows of teeth/petals' are set at different angles to create an even more dazzling display. 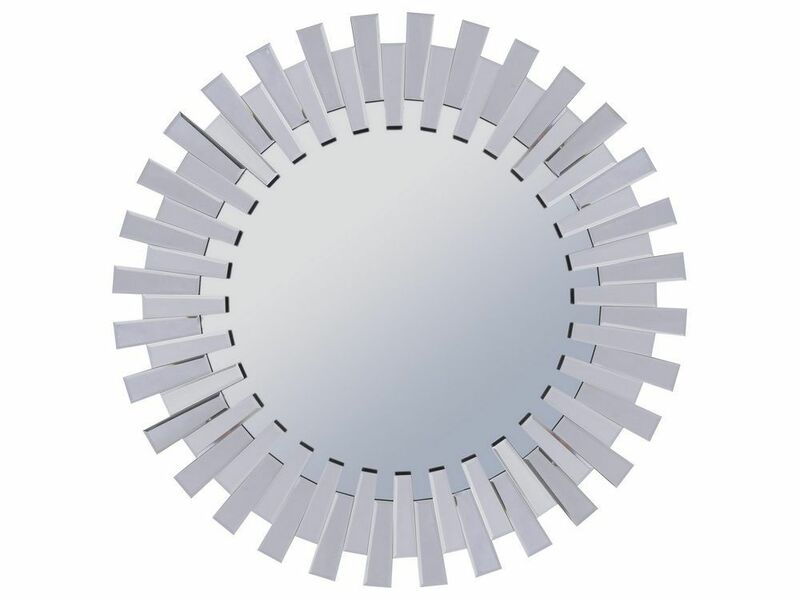 At over a metre in diameter, this designer wall mirror is an exciting addition to your home.